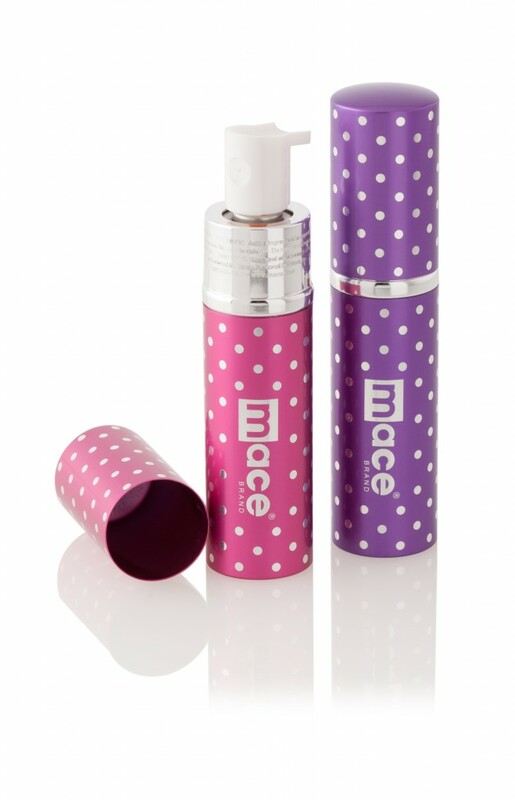 CLEVELAND, OH, September 25, 2014 – Mace Security International, Inc. launches new fashion line of Mace® Brand Pepper Sprays called Exquisite™. The new fashion line incorporates patterns and colors that are bold, sleek and contemporary. It’s safety that reflects your style. No longer does safety have to be boring, it should be a fashion safety accessory that every woman feels good carrying. Each unit contains OC pepper spray and UV Dye, which is an invisible marking dye that helps police identify your attacker using ultraviolet light. “For many years, self defense sprays were only seen as utilitarian devices but recent trends, consumer feedback and point of sale data have shown that women want their defense spray to have a blend of style and function. All Mace® Brand defense sprays must perform as intended in a crisis but that doesn’t mean they can’t also be fun and fashionable”, Eric Crawford, VP of Sales Mace Security International. On August 11, 2014, The Honorable Governor Deval Patrick signed House Bill 4376 into law thereby allowing the citizens of the Commonwealth of Massachusetts to purchase pepper spray without a firearms ID card. Under the old law, pepper spray was classified as ammunition, much to the dismay of law-abiding citizens. Firearms dealers may sell self-defense sprays to any person age 18 or over, unless otherwise disqualified. A firearms identification (FID) card or license to carry firearms (LTC) is not required for purchase. However, dealers should verify age with a valid form of identification. Individuals between the ages of 15 and 18 must still have a valid firearms identification (FID) card to purchase self-defense spray. Except for verifying age, a dealer is not required to determine whether or not a purchaser is disqualified from possessing self-defense spray. Mace® Announces Change in Independent Accounting Firm. 31, 2014 replacing Grant Thornton, LLP (“GT”). financial statement disclosure or auditing scope or procedure. rescue networks. Mace® brand has been a source of non-lethal solutions since 1970.